Electromagnetic Interference (EMI) and Radio Frequency Interference (RFI) filters prevent interference in electrical devices due to stray electromagnetic radiation. Radiation of this nature can be produced from something as common as a cellular phone or computer monitors. It is also produced in military arenas as disruptive countermeasures. EMI/RFI filters are required in medical environments throughout Europe, and increasingly in America. All military equipment, including displays, requires an EMI/RFI filter to prevent disruption of images from enemy interference. In addition, all military platforms requiring visible apertures and a low radar cross section must employ continuous film shielding to maintain stealth performance. Typically electronic devices are simply shielded with a metal container or liner. However, displays must be shielded with something that is somewhat transparent. In most cases, fine tungsten mesh is stretched across a piece of glass or plastic providing excellent shielding which is approximately 70% transparent to visible light. 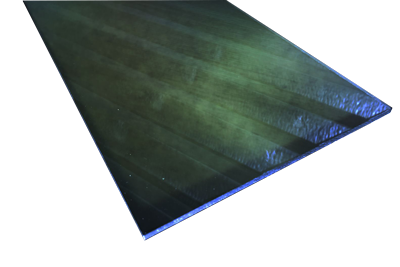 Indium-tin oxide (ITO), a transparent but electrically conductive vacuum deposited material, is a more aesthetically desirable alternative. Genvac ITO technology offers a high transmission and durable coating with EMI/RFI shielding capability. ITO also can conduct an applied current to enable heating in cold temperature environments. Proprietary ITO process technology is qualifiied to coat glass or plastic materials where required to meet operating environment criteria.